Welcome to the beautiful Flathead Valley in Northwest Montana, a destination surrounded by valleys, mountains and beautiful lakes. In the cradle of the West, there is so much to see and do. Whether you’re lucky enough to be a resident of the area or are just visiting, you can enjoy exploring new places or experiencing something you never had imagined before. Set against some of the most beautiful scenery in the country, there are a variety of interesting stops to make on a senior-friendly walking tour in the Flathead Valley. Conrad Mansion: Step back in time by taking a tour of the historic Conrad Mansion. This beautiful house has some deep historical roots, and it’s open to the public through guided tours by an exceptionally knowledgeable staff. Learn all about the innovator/businessman that Mr. Conrad was, all while enjoy the beautiful architecture and design of his 23-room house and original furnishings. Lady of the Lake: Get out on the water and explore Whitefish Lake in style. The Lady of the Lake Tour offers private tours for up to 12 people. You’ll be able to take in all the amazing views while a narrator describes the scenery and the area. This is a perfect pick if you are in the area to celebrate a special occasion. Visit Wild Horse Island: If you’re looking for an adventure and love wildlife, a visit to Wild Horse Island, the largest island on Flathead Lake, is just what you need. Only accessible by boat and home to many different species of animals such as bighorn sheep, fowl, bald eagles, and even wild horses, your experience at the island is sure to have a lasting impression. If it’s not too warm, you can hike around the island or enjoy a picnic lunch on the shore. Visit Bigfork: Bigfork is known for being a leading arts community and his home to many different exhibits, galleries, theatres, and restaurants. You can find a little bit of everything in Bigfork on your walking tour. Along with the various attractions, Bigfork also offers exciting events and activities year-round. 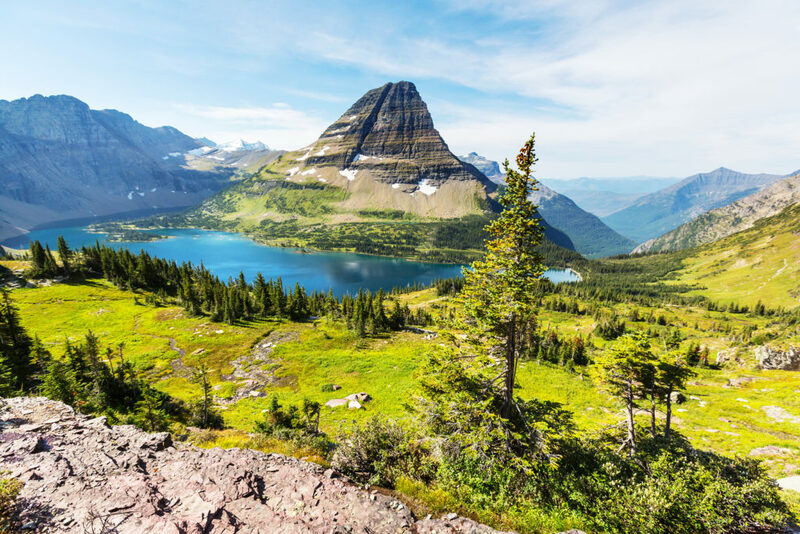 Glacier National Park: Glacier National Park is an amazing gem in Montana. Filled with an abundance of trail ranges, and hikes, this is the perfect place to take a senior-friendly walking tour while immersing yourself in natural beauty. While there are many different trails available, older adults can opt for trails like the Trail of the Cedars or Running Eagle falls for a shorter, more relaxed hike. Located in stunning Kalispell, Montana, you can enjoy all the beautiful views within the comfort of our vibrant senior living community. We offer a variety of senior living options, balancing comfort with exciting opportunities to create an engaging lifestyle for all our residents. You’ll find gracious independent living in Buffalo Hill Terrace or The Villas at Buffalo Hill, to supportive services like assisted living, memory support, and skilled nursing care. Contact us today to schedule your personal tour.